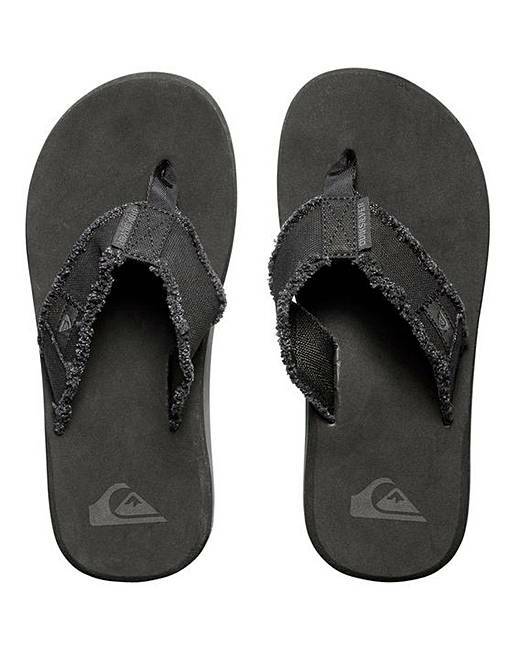 Quiksilver Monkey Abyss Flip Flops is rated 3.0 out of 5 by 2. Rated 2 out of 5 by PINGU21 from no rub flip flops Looked ok online but found to be rather wide and bit heavy on 18 yr old son's feet, suit, much wider foot. Rated 4 out of 5 by Mrs Custard from Better than usual flip flops Bought theses for our holiday - not worn them outside yet only indoors. My husband seems pleased so far .